Liverpool registered a crucial win against a stiff Burnley side as Sadio Mane and Roberto Firmino did business for the hosts. The weather conditions were terrible and they were derailing the tempo of the game. Surprisingly, it was Burnley who broke the deadlock at the 6th-minute mark as Ashley Westwood's corner kick went straight into the back of the net and this was allowed by the referee despite a strong shout of foul from Reds' goalkeeper Alison Becker. The challengers responded strongly and quickly as they turned the tide emphatically and acquired the lead in the 29th-minute mark, thanks to goals from Roberto Firmino and Sadio Mane. 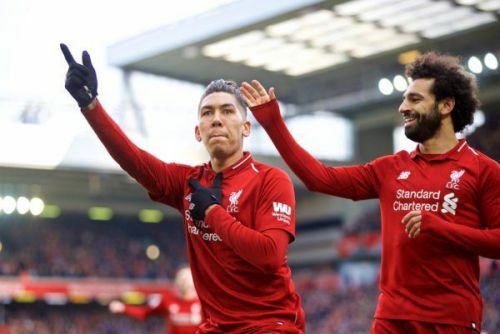 Sunshine returned at Anfield in the second half and later it became relatively comfortable afternoon for the Reds when Firmino scored again to extend the hosts' lead to two. In stoppage time Burnley unsettled Liverpool once more as Johann Berg Gudmundsson struck a close-range shot to put one back for the visitors but Mane ensured The Reds won the game by two goals cushion and it was his 50th goal for the club since joining in 2016. It is an immensely important victory for the Reds as they seek to regain their spot at the top of the pile from defending, Champions Manchester City. Here are the major reasons why Jurgen Klopp's men registered a win over Burnley. 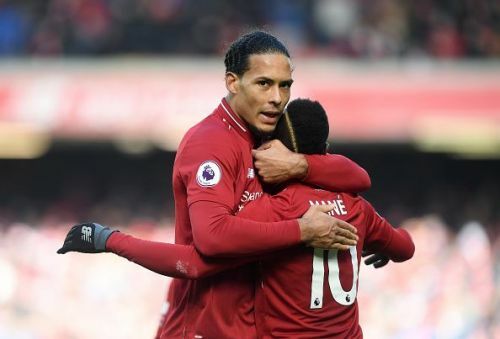 #3 Virgil Van Dijk Colossus again as Reds backline nullifies Barnes and co. The commander of the best defense in the league, Virgil Van Dijk was again rock-solid at the back against Burnley. Yes, Burnley did score two goals and one was arguably the result of Matip's needless giving up of the corner, but Reds' defense did block numerous balls from the visitor's midfield and Van Dijk's clearances were immensely crucial. The Dutch center back won countless individual battles and it was yet another solid day at the office for him. He provided the rigidity needed at the back and kept his co-defenders concentrated on the game, thanks to his incredible leadership skills.